I am a planning junkie. One of my favorite things about December is the arrival of shiny new blank planners, and all the big dreams I write in them for the coming year. Every book and class on planning emphasizes that you should start by reviewing your current year. This is the part I usually neglect. When I started my planning process for 2016 a few weeks ago, I wanted to forget 2015 all together. We had some lovely travels, and some exciting things happened, but what I kept getting stuck on is that there has been no certainty for us this year. I just couldn’t get past what was disappointing about this year. And that is where I got stuck – I couldn’t remember anything else that happened. So I started looking though some pictures. I looked back at my planner and journal. Planning the new year without reviewing the old, is like drawing out a very detailed map to your destination without having the starting point. Looking back at the year, the goals we met or didn’t meet, the exciting and the ugly, what we know now, and what we realize we may never know, all of that shows us where we start. 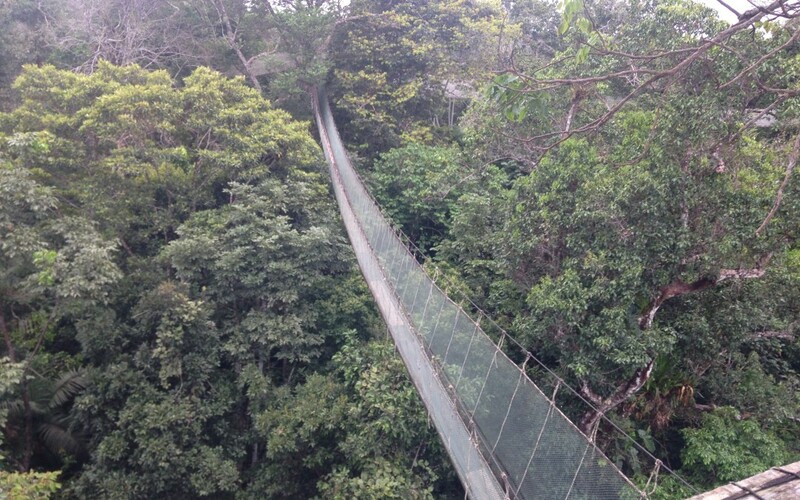 That canopy walk? Well, I’m [a bit] afraid of heights. And what I tried to do there was put one foot in front of the other. Enjoy the awe of where I was – high above the trees of the amazon rain forest. All without looking down and giving in to the fear. And isn’t that what big dreams and plans and goals are all about? One foot in front of the other, enjoy the journey, don’t give in to the fear. I have some exciting plans for 2016, and I can’t wait. But this time is about 2015. How are you celebrating 2015? PS: If you are looking for some guidance in planning your year, I can recommend Michael Hyatt’s Your Best Year Ever and Leonie Dawson’s Shining Life and Biz workbook. I’ve done and loved both, though they are very different. This year, I’m also doing Molly Mahar’s Holiday Council, but it already started, so keep it in mind for next time.